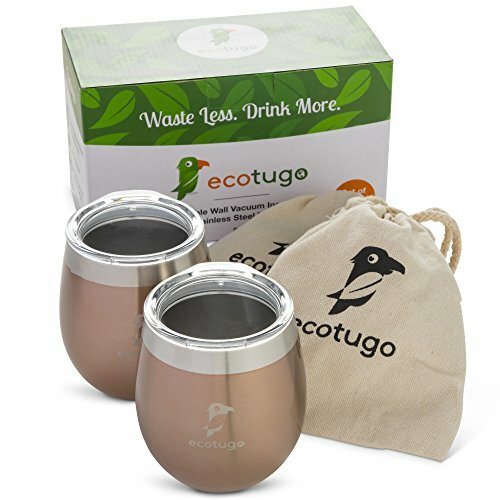 THE PERFECT COMPLIMENT TO WINE : The Ecotugo stainless steel wine glass creates optimal conditions for enjoying alcoholic beverages. Designed with a vacuum insulated, double wall, this non-sweat, premium display of craftsmanship keeps your chardonnay or pinot grigio refreshingly chilled, even in the hot sun. With a wide mouth to let your wine breathe and a powder finish for a non-slip grip, your drink will retain its temperature and taste crisp for hours. There's no better way to drink wine.